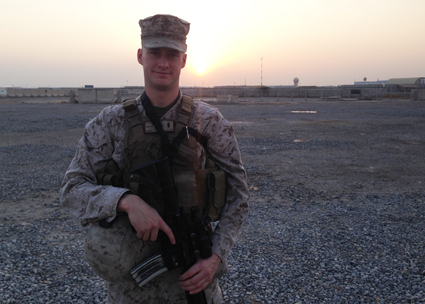 Indeed, Nicholas Firestone (CAPT USMC ’11-’15), son of Jarhead Wine Company founder Adam Firestone (CAPT USMC ’84 – ’91), is currently transitioning from the Marine Corps and becoming more actively involved in Jarhead wines. What are you doing for Jarhead Wine Company? -What I am doing for Jarhead is telling its story and getting the word out. The Jarhead Wine Company is unique and special in that it offers affordable, great-value wines made by Marines to be enjoyed by Marines, and with an added bonus that we can give something back. So, I look forward to continuing to tell the story of Jarhead Wines. -While I grew up in a winemaking family, I am also a third generation Marine. My grandfather was a Marine Major who flew Corsairs in World War II and in the Korean War, and my father was a Marine Captain who served in Desert Storm when I was a toddler. With a strong Marine Corps’ tradition, I have served all over the world for the last four years as an Artillery Officer with 2nd Battalion, 11th Marine Regiment including in Thailand, Korea, Mongolia, and Afghanistan. It has been a wonderful, life-changing experience. 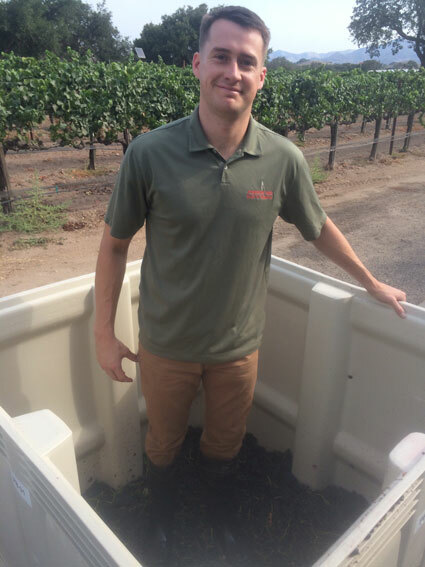 You recently helped winemaker Andrew Murray with the harvesting and “crush” of Jarhead grapes—what was that like? How does the fruit look this year? – Andrew is a wealth of knowledge with infectious enthusiasm who is sort of like a big brother to me. Having grown up in a wine family and well used to pitching in during harvest, it was great to join him this year as there is lots of work to go around. It seems as though this year will be a unique challenge for Andrew and other valley winemakers, as this harvest began somewhat early and yield is slightly low. I look forward to hearing more about the creative angle that Andrew will take to approach making wine this year. You grew up in a winemaking (and brewing) family. What is your fondest or earliest memory of the winemaking life? – Growing wine in my family prepared me well for life in the Marine Corps, as dedication, strong work ethic, passion, and early mornings are staples of both. For us, there is a strong emphasis on family, and there always has been. My fondest memory is one of our picking contest that we had when I was 12. At one point, my father, grandfather, and I were all shearing grape clusters together, and there’s nothing cooler than picking grapes with your heroes! Net proceeds of Jarhead wines are donated to USMC-based charities, primarily the Marine Corps Scholarship Foundation. What makes the foundation such a great cause? – The Marine Corps Scholarship Foundation is an incredible organization that provides scholarships to military children, giving special consideration to the children of fallen Marines. It’s hard to think of a better way to honor the legacy and sacrifice of these Marines than by educating their children. We have worked alongside the Marine Corps Scholarship Foundation for many years now, and their cause is near and dear to our hearts.